This Nativity set is carved from rose wood by Daudi Mukungu. Artisans like Daudi do their carving during the day, and then often work other jobs (such as security guards) during the night to meet their financial needs. 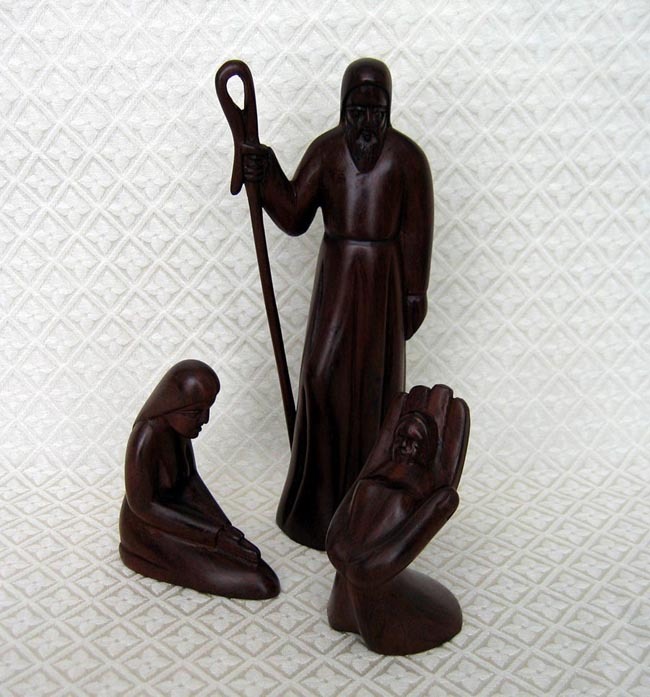 The set includes Joseph holding a staff, Mary kneeling, and baby Jesus nestled in the Hand of God for His crib. Joseph measures 10 inches tall.